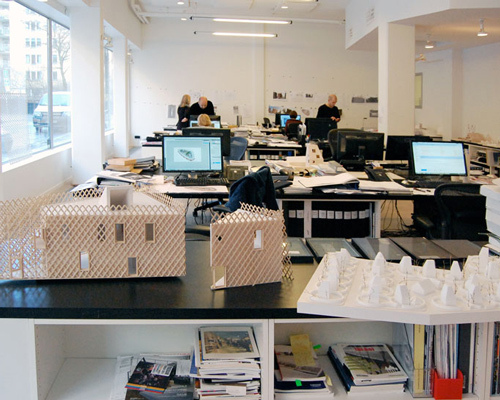 the designboom team visited the studio of stockholm-based architecture practice tham & videgård arkitekter. the open layout of the office creates a pleasant atmosphere with a series of workstations arranged along a glass storefront providing ambient light throughout the entire space. an impromptu pinup wall is formed by string hung on the wall with binder clips to secure process images and photos in place. the opposite end has a library and table used for meetings and group collaboration on current projects. study and final building models are lined along a low profile bookcase to mediate and separate desks from the communal area. 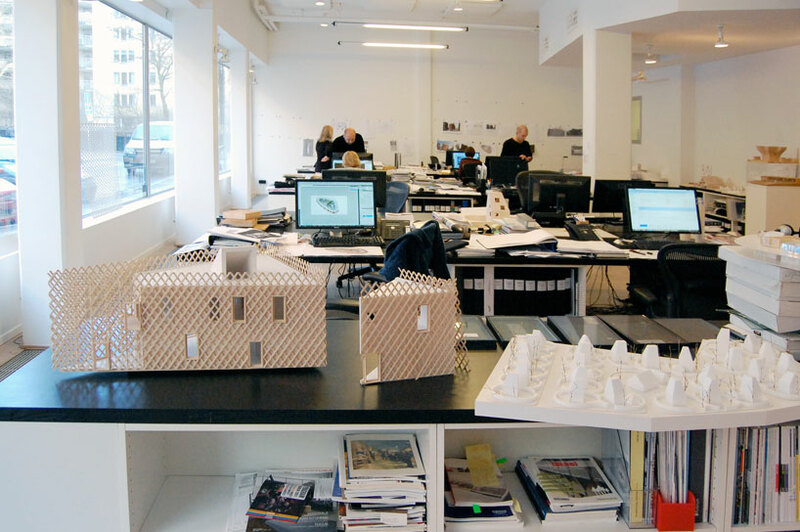 founded in 1999 and led by architects martin videgård + bolle tham, their delivered projects strike a balance between theory and relevance in today’s society. design techniques of peripheral transparency seek to visually unify the landscape with an autonomous form creating an experiential rather than physical connection to the immediate surroundings. the work of the practice has been awarded many prizes including ‘best new building’ for the garden house, of sodertalje, sweden in 2008 and the firm was shortlisted for the mies van der rohe award in 2009. And the wheel out of the office?